SAVE TIME. SAVE MONEY. MILLENNIAL BOOKKEEPING. Utilizing the power of the cloud we are able to provide the best services available. 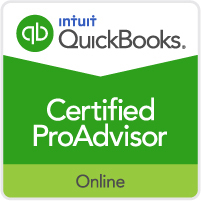 Using Quickbooks Online accounting software we are able to save you time and money to provide you with the peace of mind you need to focus on growing your business. With Millennial Bookkeeping's remote access, your finances are never more than a click or live video chat away! If you prefer a more traditional approach, give us a call! We would love to hear from you. Through our streamlined process your employees will receive their paycheck, physically or direct-deposit, in an efficient and timely manner. We take the hassle out of payroll meaning more time to do the things you love. We can even take care of your bill paying and your invoicing. With our A/P and A/R services, you can rest easy knowing you won't have to chase after money or worry about making your payments on time.